Dutton, the Publisher of This Star Won’t Go Out by Esther Earl, Lori Earl and Wayne Earl, wiht an introduction by John Green, has released a wonderful teaser which you can see here. 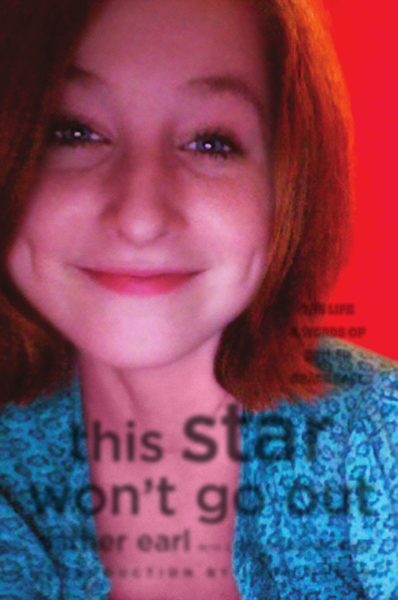 On January 28, 2014 we can read the words of Esther Grace Earl the “star” who was the inspiration for John Green’s amazing book The Fault in Our Stars, reviewed earlier here. If you haven’t already read The Fault In Our Stars, why have you not? Then, once you have, look for This Star Won’t Go Out when it is released to discover the life and wishes of Esther, who died in 2010 of cancer. Passages in Esther’s handwriting and drawings she did accompany the thoughts of this sixteen year old’s poignant story, assuring her mark in our souls. This entry was posted in children's books and tagged children's books, contemporary YA. Bookmark the permalink. Post a comment or leave a trackback: Trackback URL.